A tip of the hat to CCR! 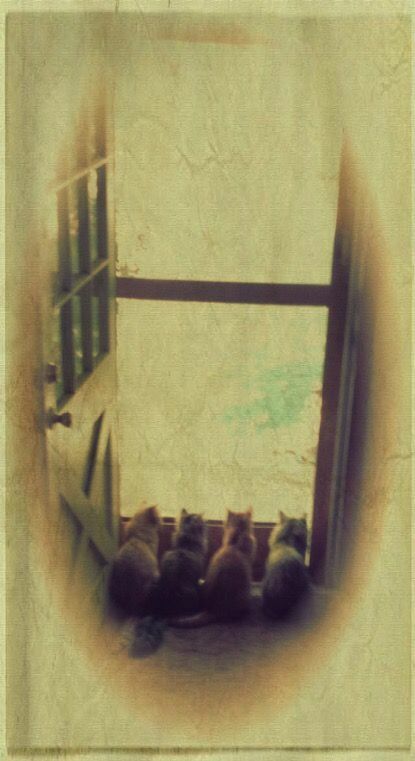 Here are 4 of my cuties — Weenie, Lucy, Tommy, and Doris — looking out the screen door! The lovely artistic effects are courtesy of my friend, Valerie. Previous PostMy books at the Smashwords Summer/Winter SaleNext PostIt would take a miracle, gang!